MTN is one of the largest telecommunications providers in Cyprus, a beautiful island nation in the eastern Mediterranean. Since its launch in July 2004, MTN Cyprus has expanded rapidly, with a mission to lead the delivery of a bold new digital world, with a strong focus on its customers. As a prime tourist destination, Cyprus has a regular influx of seasonal visitors who want to use their mobile phones while traveling. This creates a lot of roaming traffic on MTN’s network, especially during the summer months. Download this case study to understand how WeDo Technologies’ RAID Roaming enabled MTN to gain broader view and tighter control over all roaming functions with major revenue benefits. 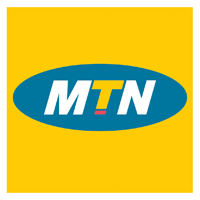 MTN Cyprus is a member of the MTN Group, a multinational telecommunications company which operates in 22 countries throughout Asia, Africa and Europe, serving the needs of more than 231 million consumers.